Norman died in hospital at Blackpool in February, having suffered for many years with the debilitating Parkinson's disease. Norman, a Cheltenham lad, enlisted immediately on coming of age; in the Gloster Regiment during the war. It was not long before he found himself undergoing commando training in preparation to becoming a member of those many clandestine WW2 forerunners of the SBS. This was a force of Regimental strength which operated by boat in support of mainland troops in and around the Aegean. 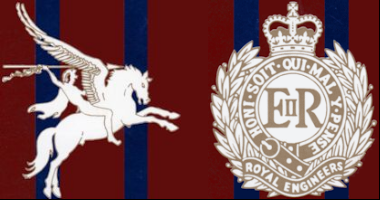 Following his demob he became unsettled in civilian life and reenlisted into the Corps of Royal Engineers, and in the early 50's joined 9 Indep AB Sqn at Malta Barracks. He brought with him a wealth of experience of soldiering at the highest level, enabling him to make an immediate contribution to the younger regular soldiers. He was by nature quiet, dedicated and steadfast and was soon to become a highly respected member of his troop. During the short time that we served in Cyprus during 1951, he had the good fortune to meet up with a couple of partisans from his WW2 days. Norman was an extremely competent swimmer, and became a regular member of the highly successful 9 Son swimming team of that era. He established himself as a most competent and popular section commander until leaving the Sqn in the Canal Zone at the end of his engagement in 1952. Back in civilian life once more; Norman soon met and married Doris, and was able to settle down. Well almost! They decided to immigrate to New Zealand, where once again he met up with several other former 9 Sqn immigrants. Having established himself with a cabling company, they were able to build themselves a lovely home. However, having returned to the UK for a holiday, they decided to stay home for good, and settled in Blackpool. 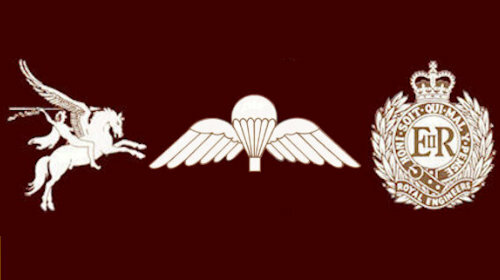 Norman (0256) was an early member of the Airborne Engineers Association, but sadly, due to his medical condition was unable to socialise after 1992. He leaves Doris, a most dedicated carer and his son Steven.